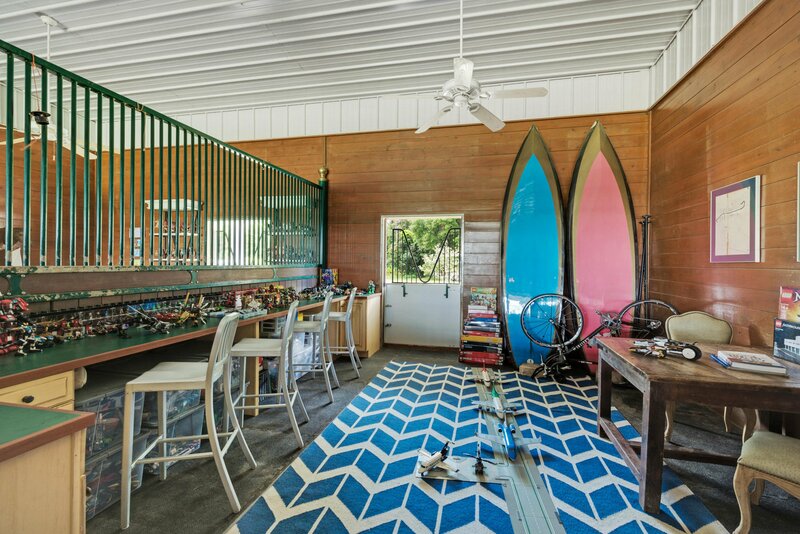 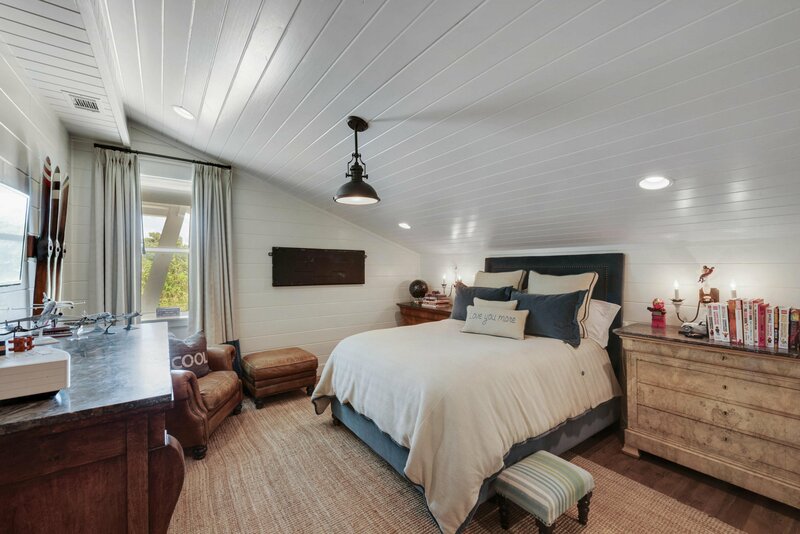 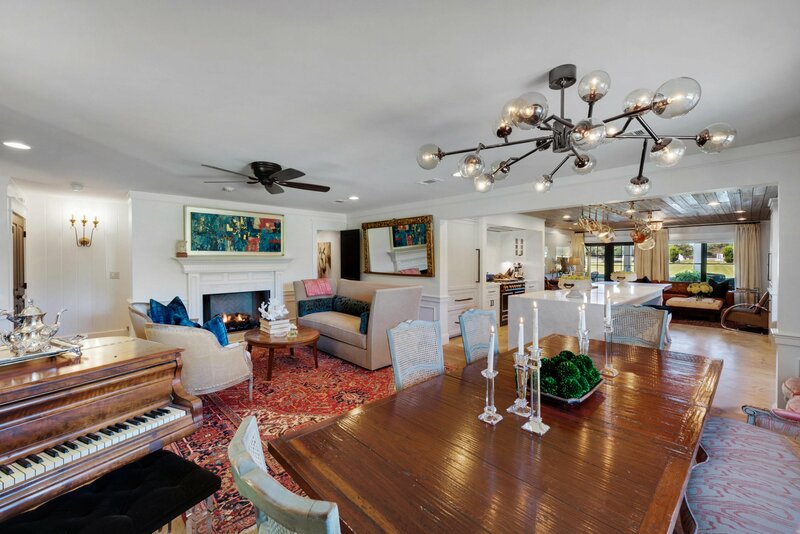 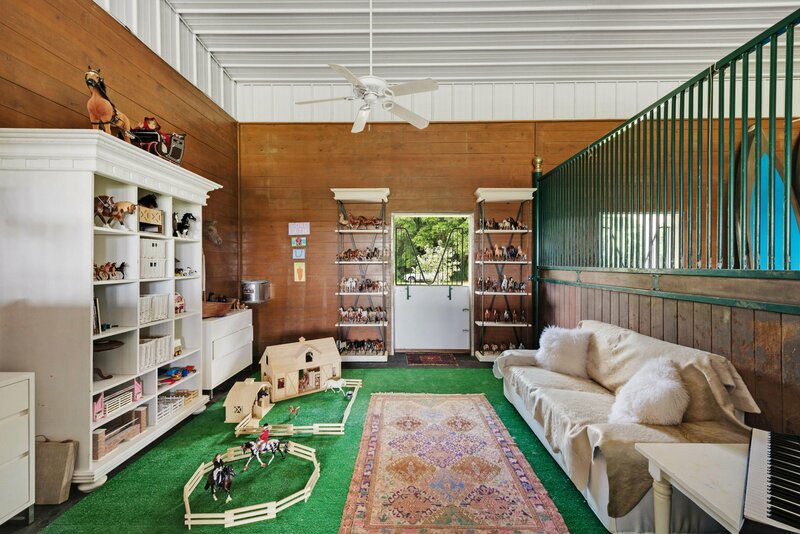 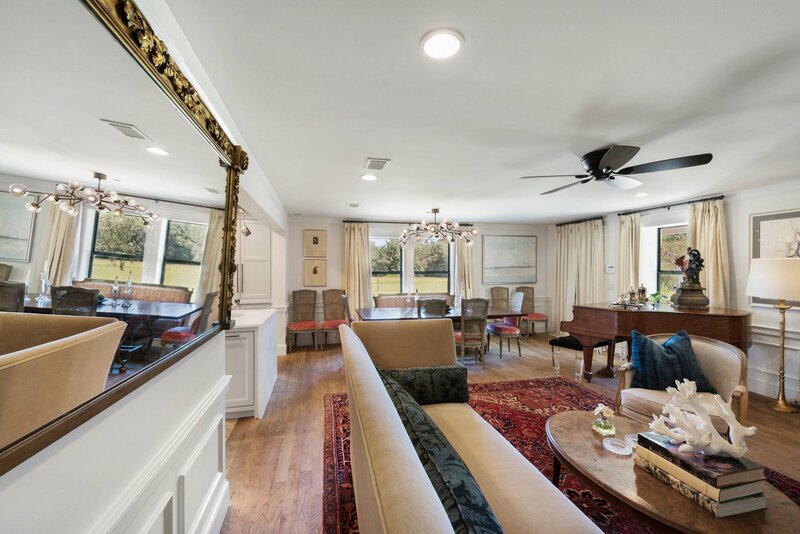 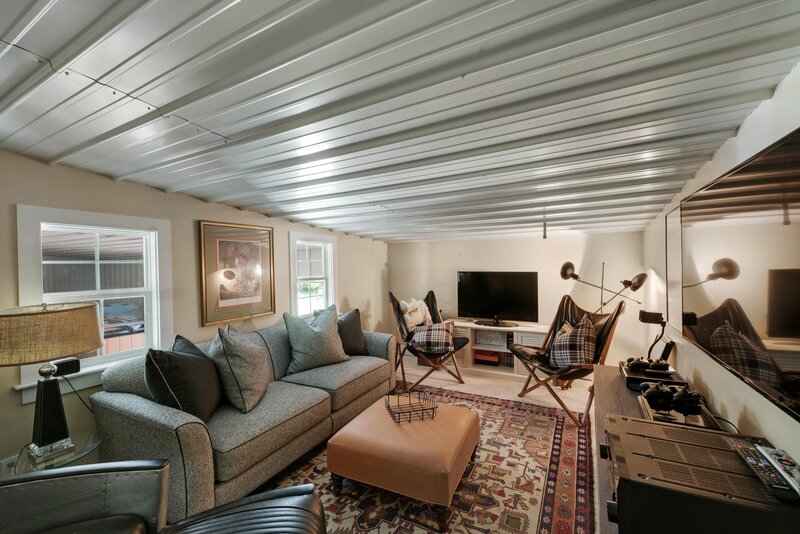 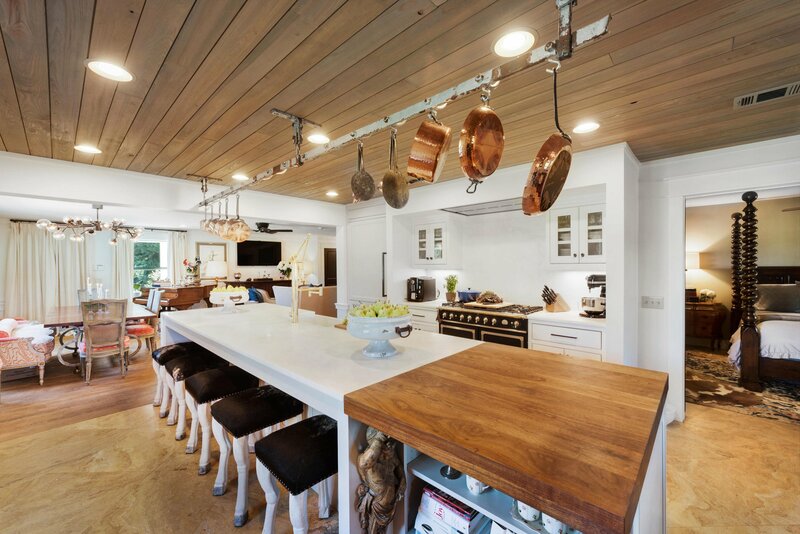 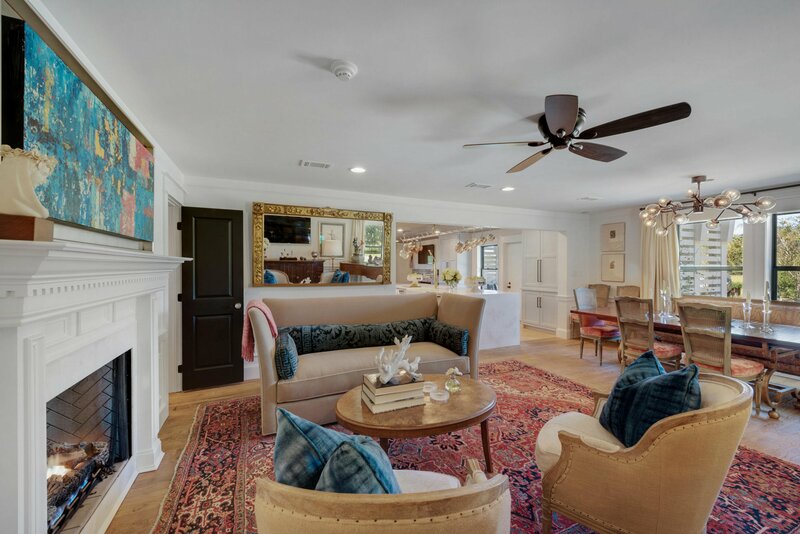 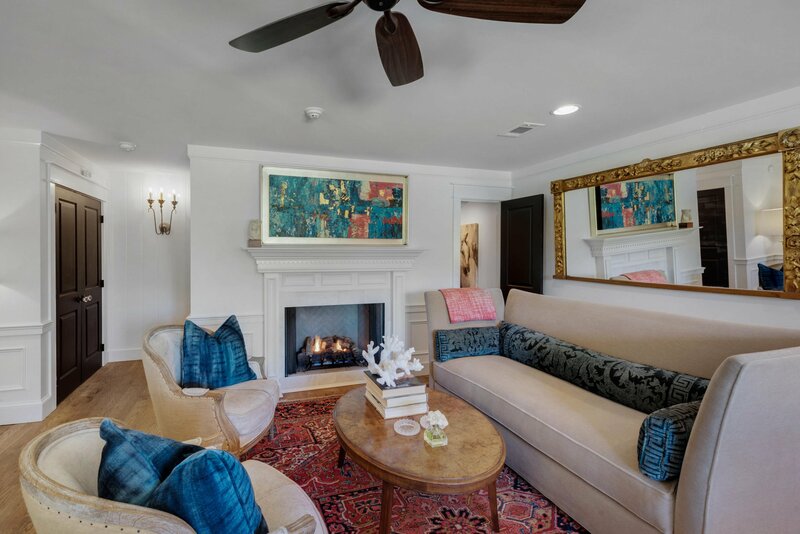 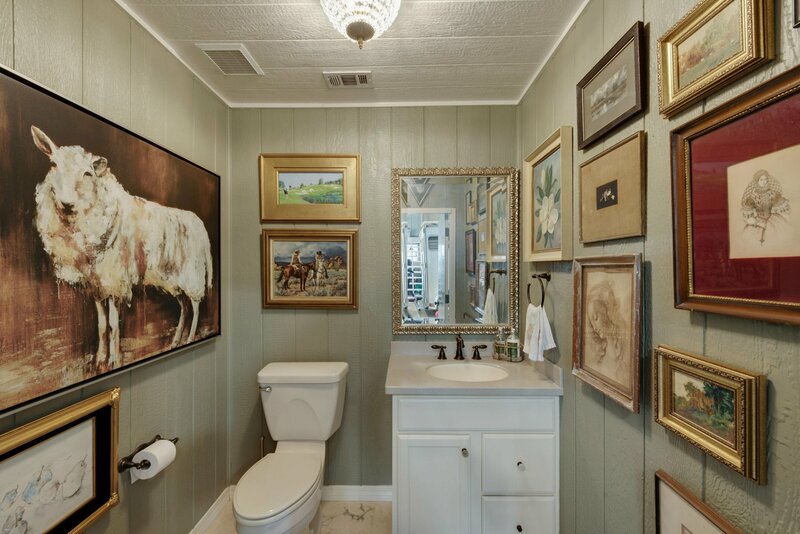 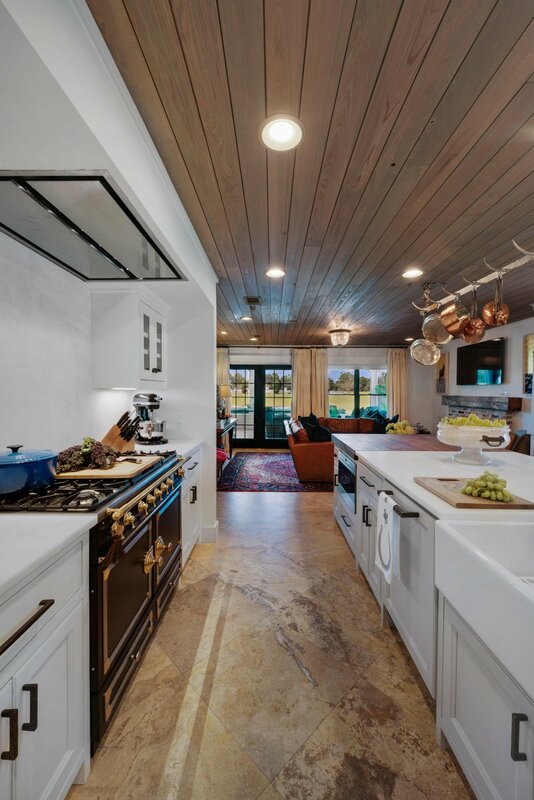 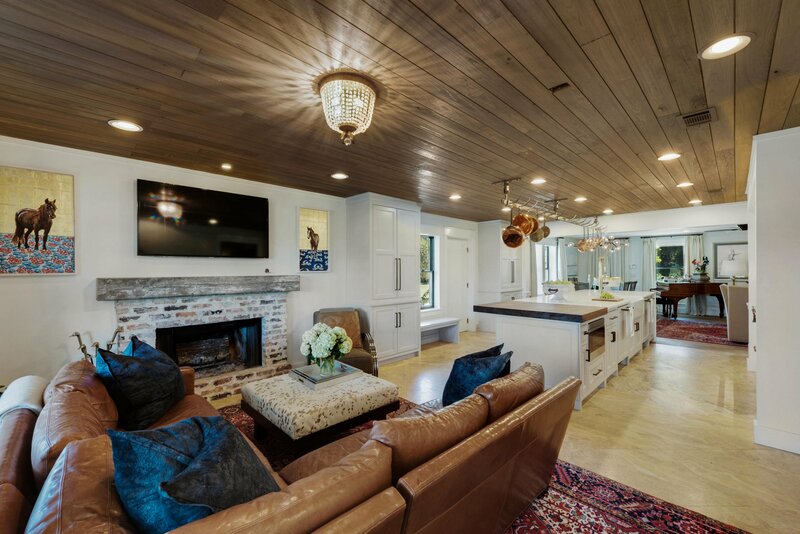 Complete renovation and downstairs remodel by Geoff Chick & Associates, including a custom chicken coop! 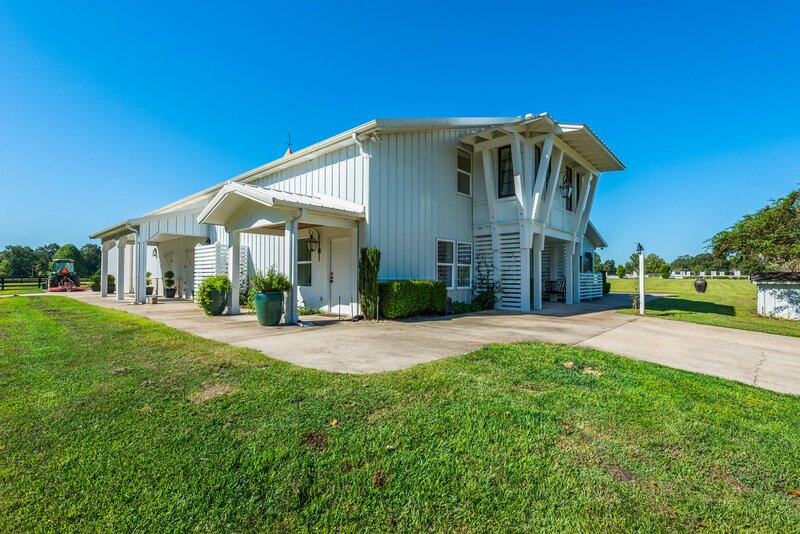 All the Morton Buildings on the property are in excellent shape and are extremely low maintenance. 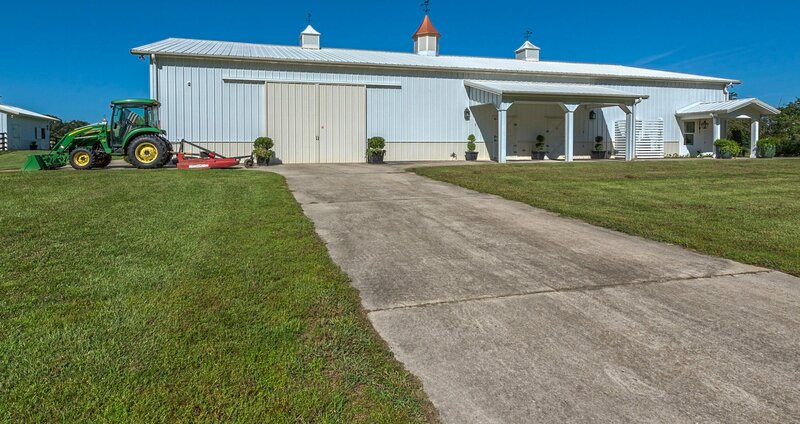 There is a large pole barn for parking all the farm equipment also, so 6 buildings total if you include the chicken coop.Interior, oil rubbed oak floors and travertine, with stained cypress ceilings in the kitchen and keeping room. 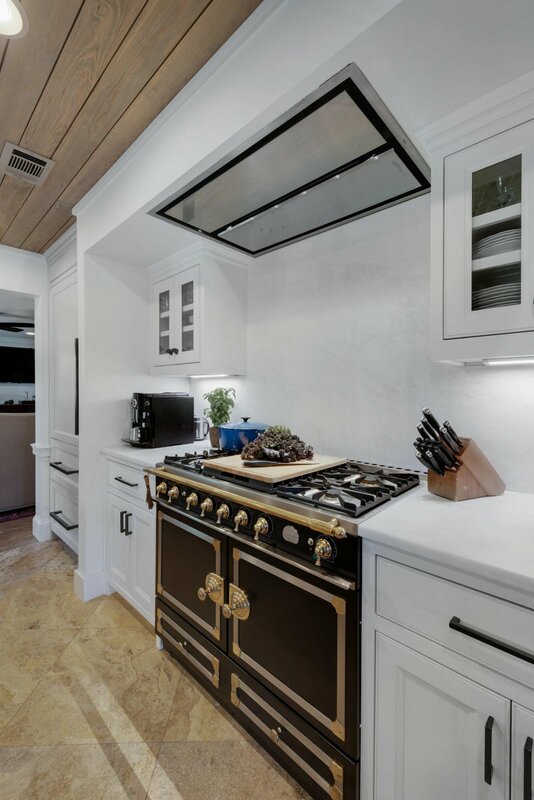 The custom cabinets have Rocky Mountain Bronze hardware with appliance panels on the 36'' Sub Zero and double Asko dishwashers. 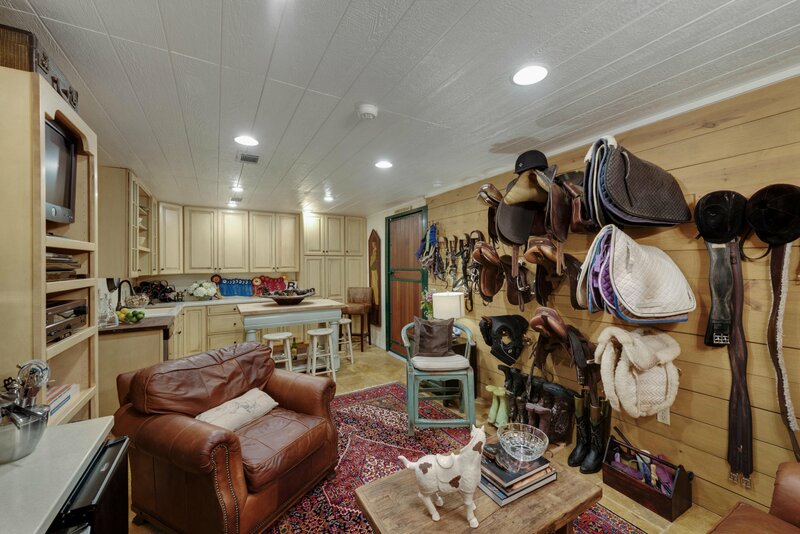 The range is a 42'' La Cornue with a Best hood using a remote blower. 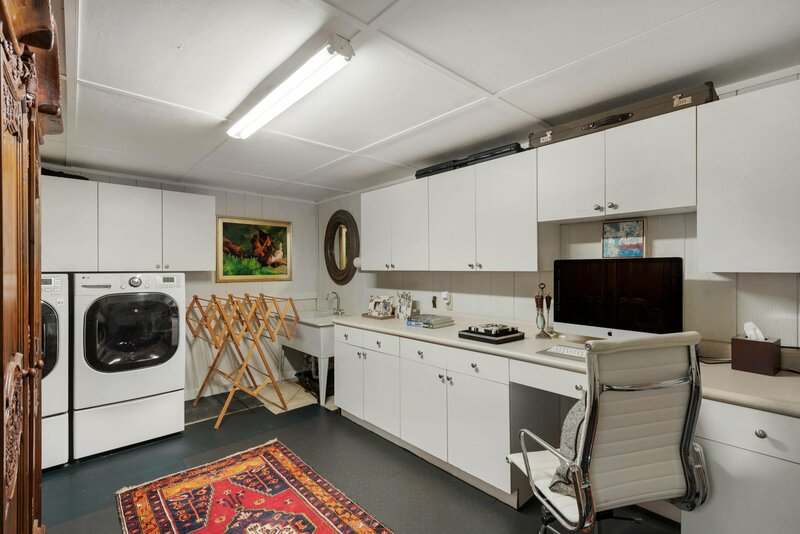 The microwave drawer is by Wolf. 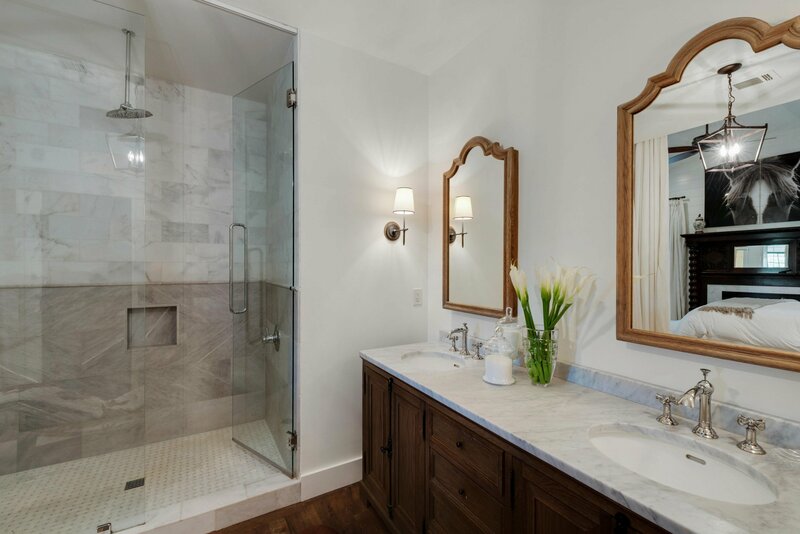 The waterfall countertops are honed Calcutta marble, with a single marble slab backsplash behind the range. 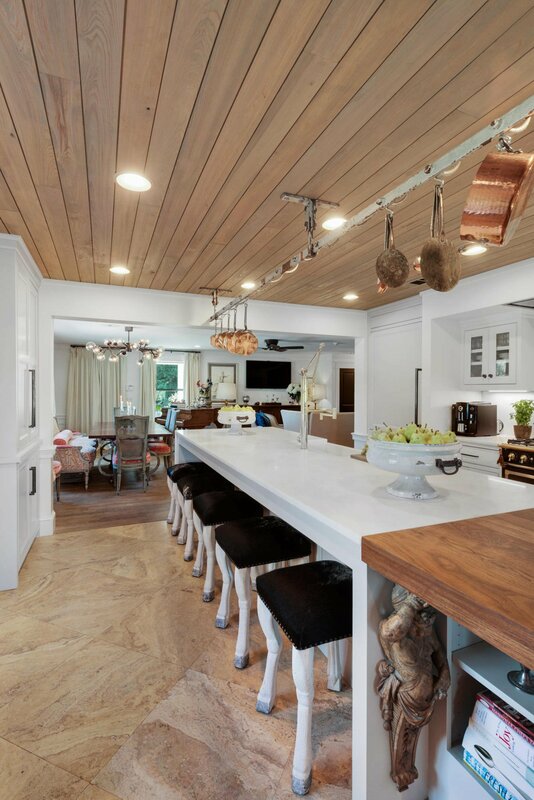 There is a 4" walnut butcher block built into the island. 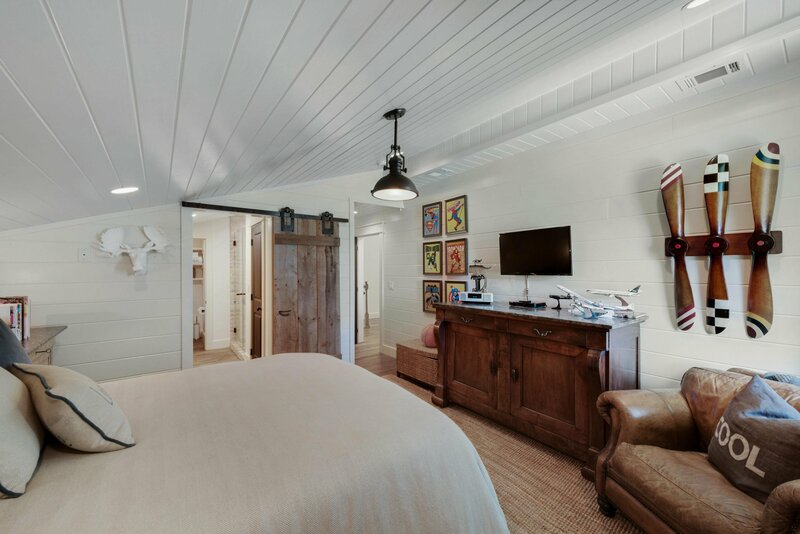 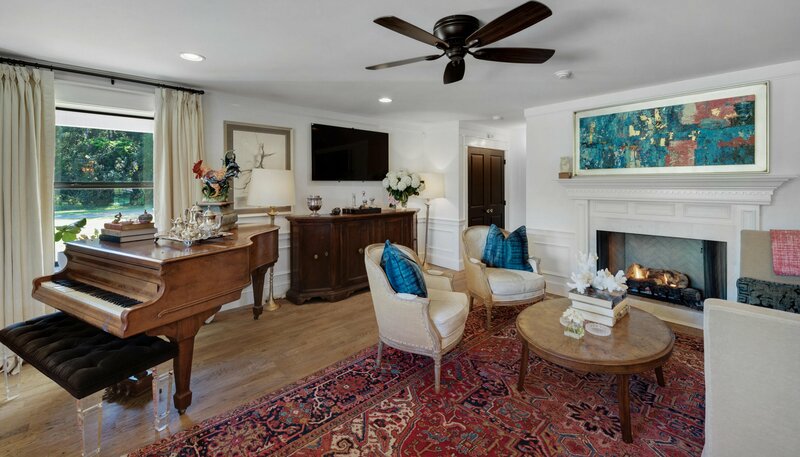 Painted wainscot paneling in the living room, with painted pine paneling throughout the upper level bedrooms and hallway. 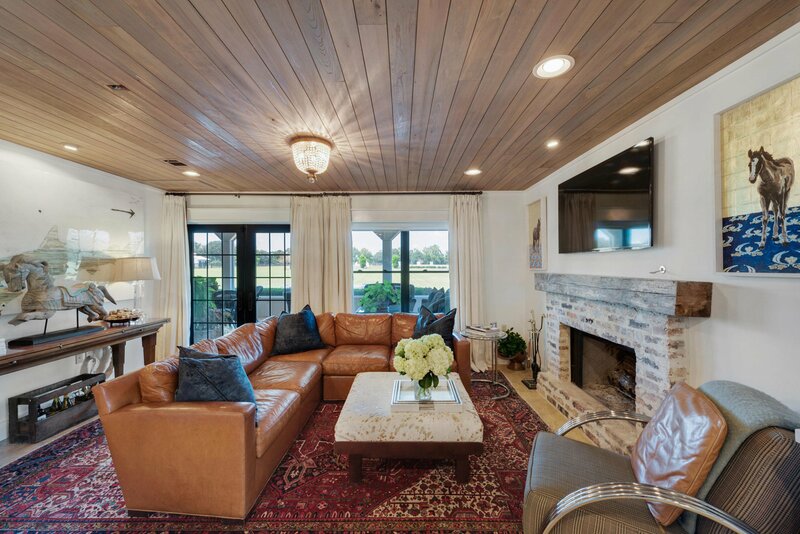 There are three fireplaces in the house, one is wood burning. 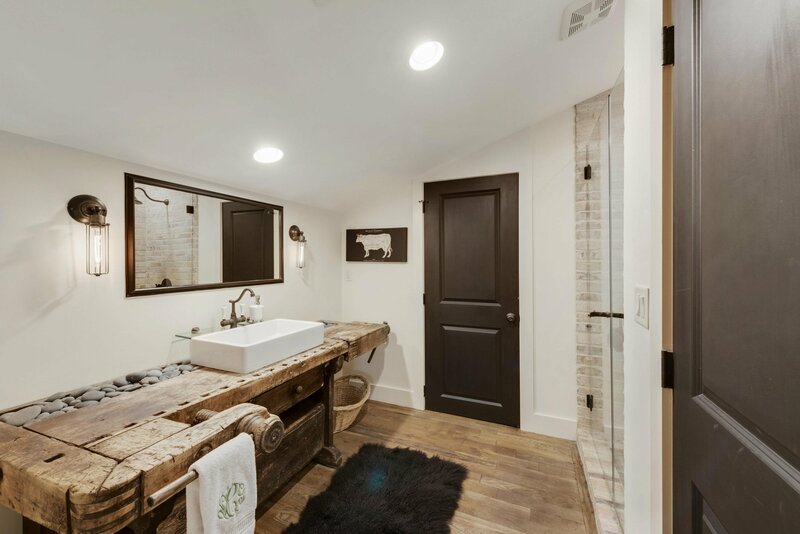 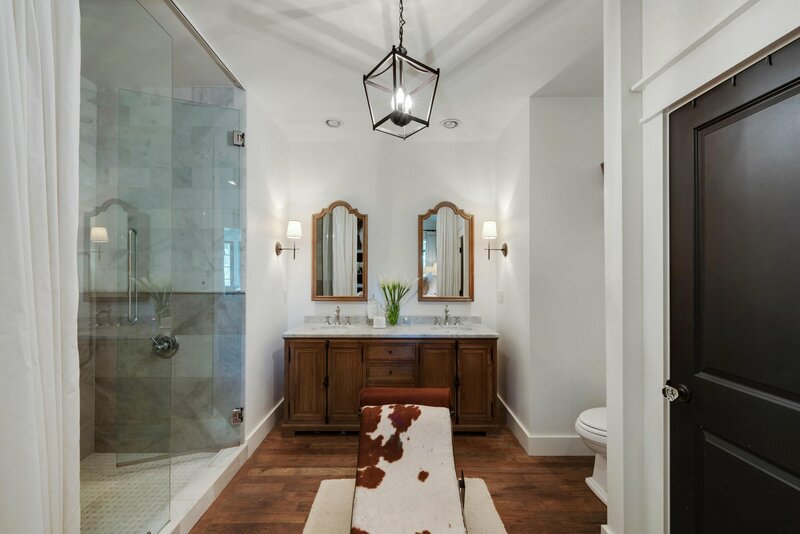 The kids bedrooms feature reclaimed antique pieces for vanity bases, with a reclaimed Chicago brick shower in one. 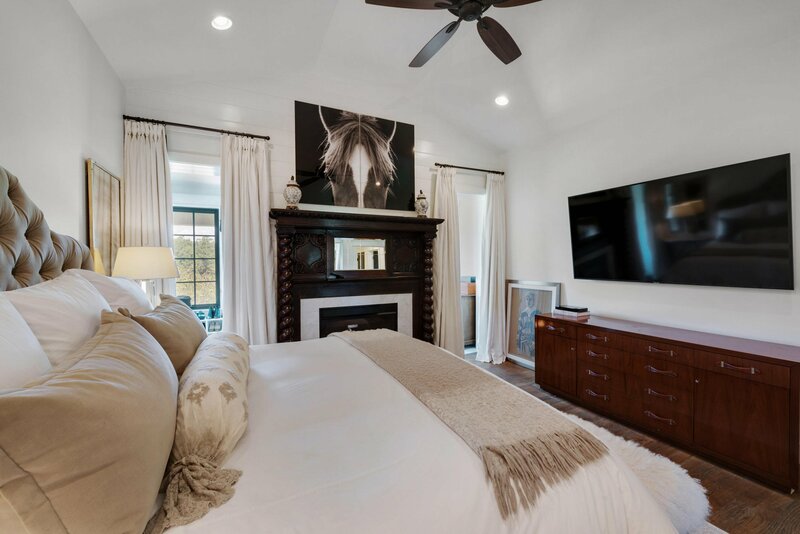 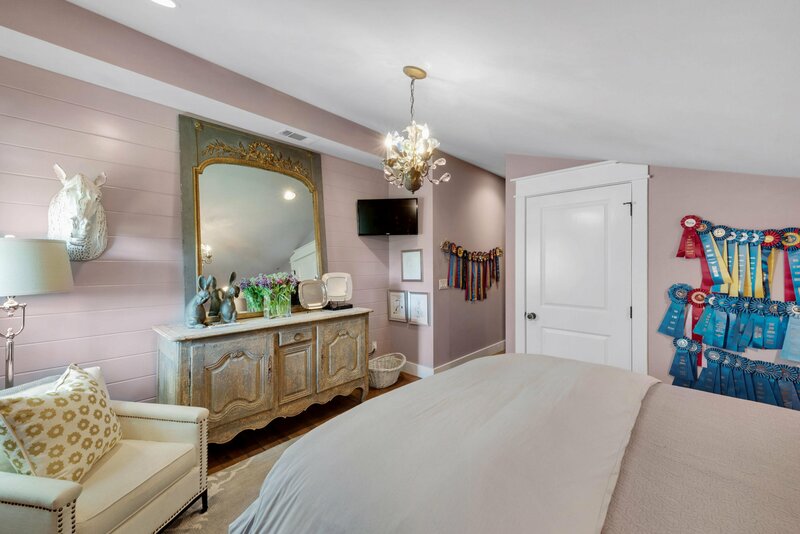 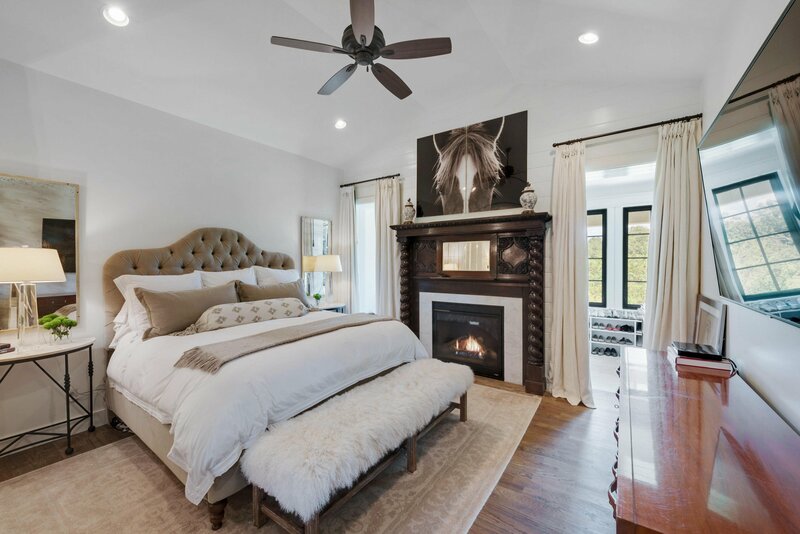 The master bedroom features soaring vaulted ceilings, huge double walk in closets, and a large shower with both rain head and handheld wall mount. 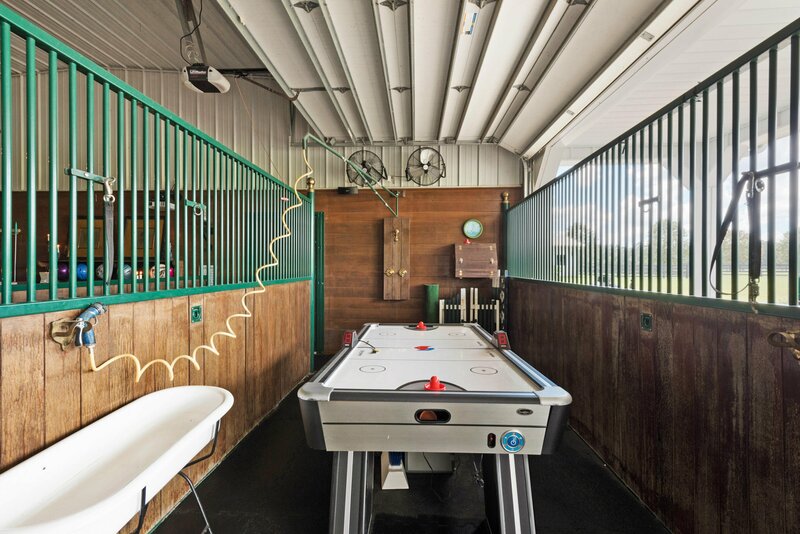 The converted stable in the center of the building is the activity center for the house. 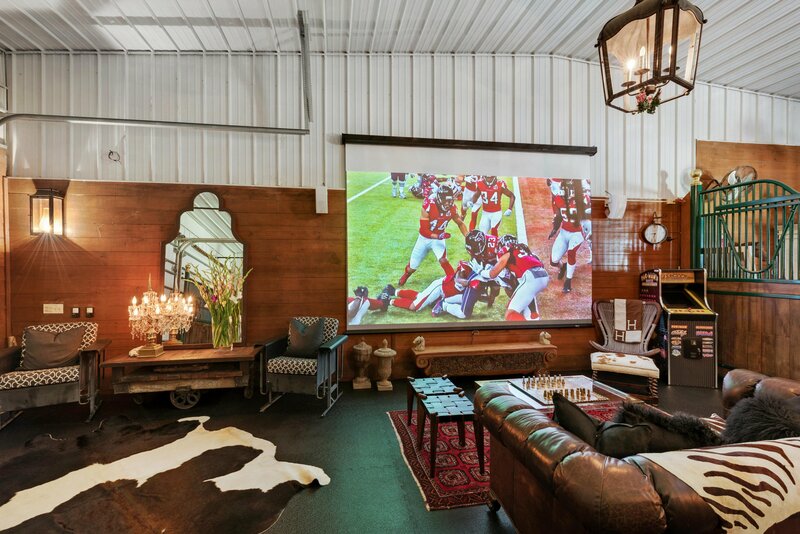 We have added a large movie screen with high definition projector to watch football and the Kentucky Derby. 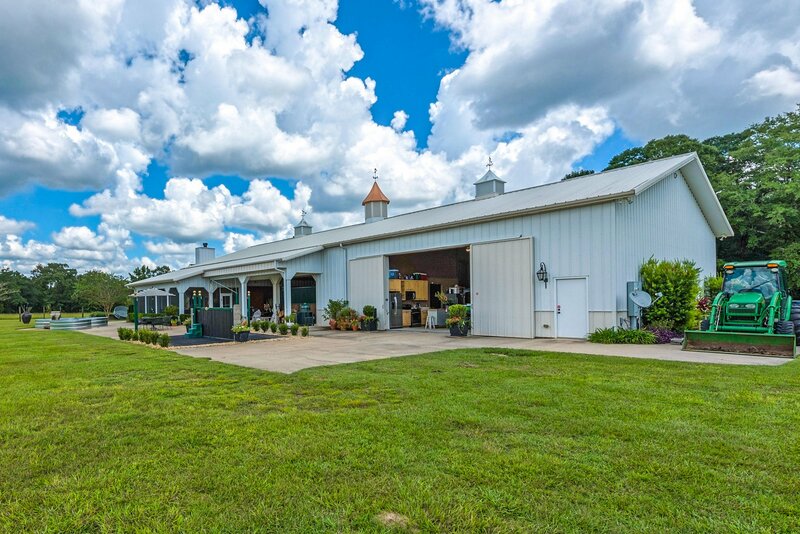 Mint Juleps feature our own selection of mints from the herb garden. 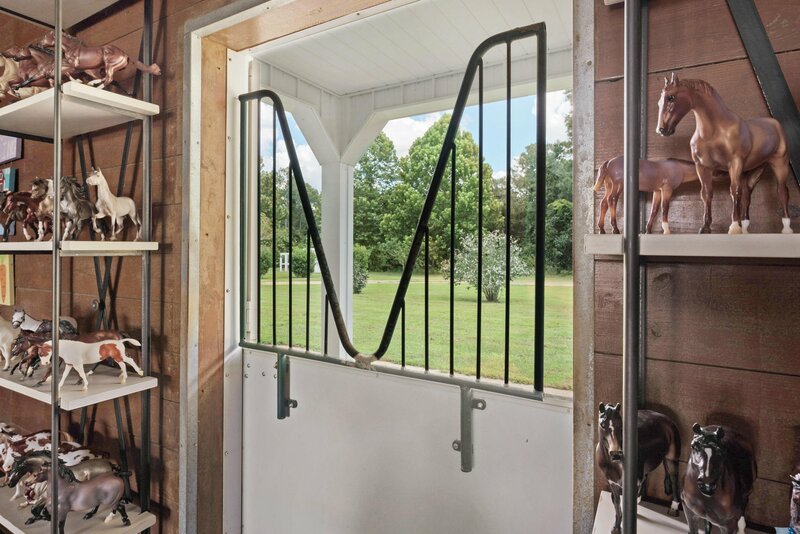 The interior stable features Ipe stall partitions by Lodden with brass finials. 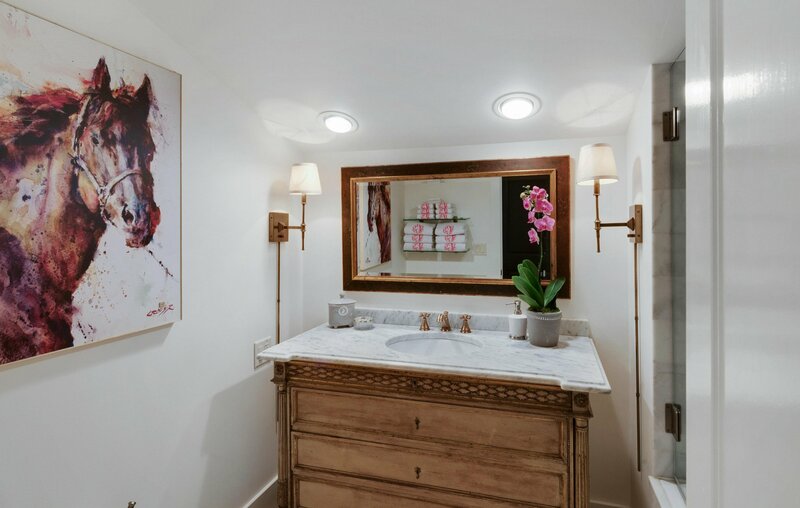 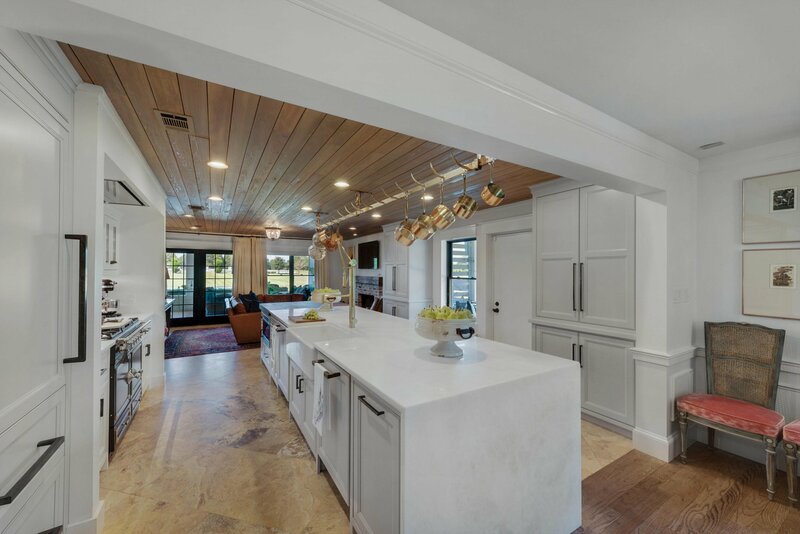 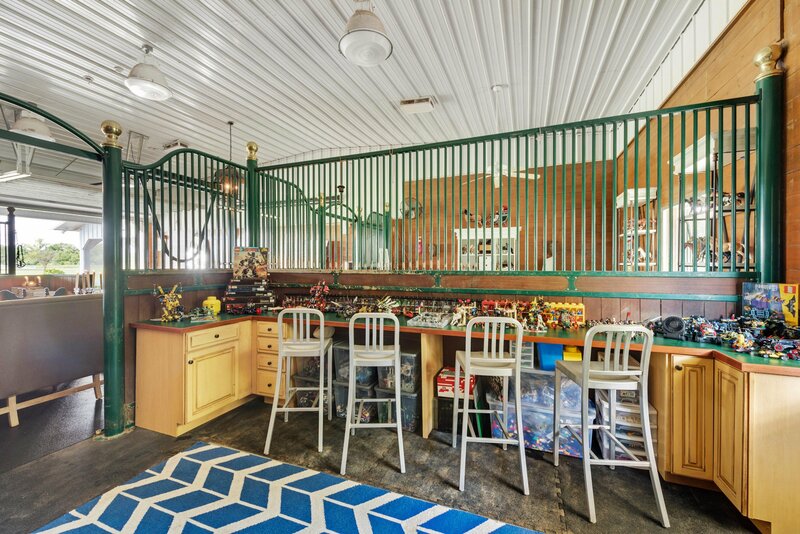 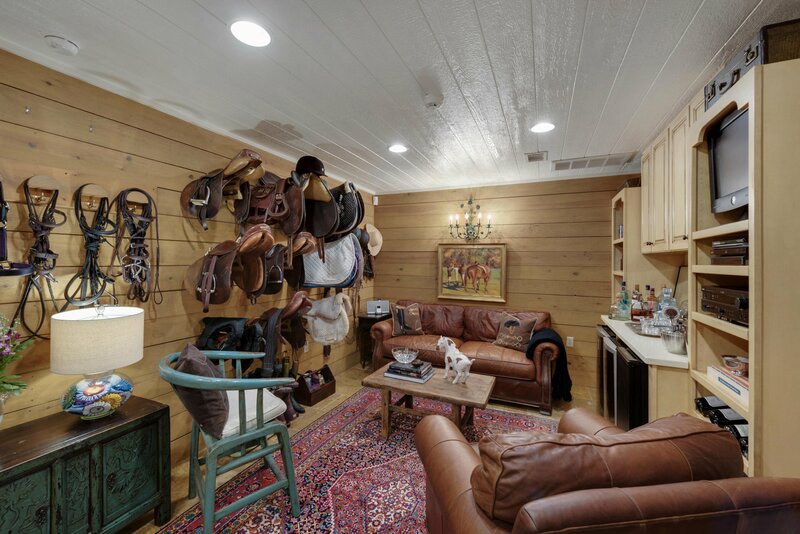 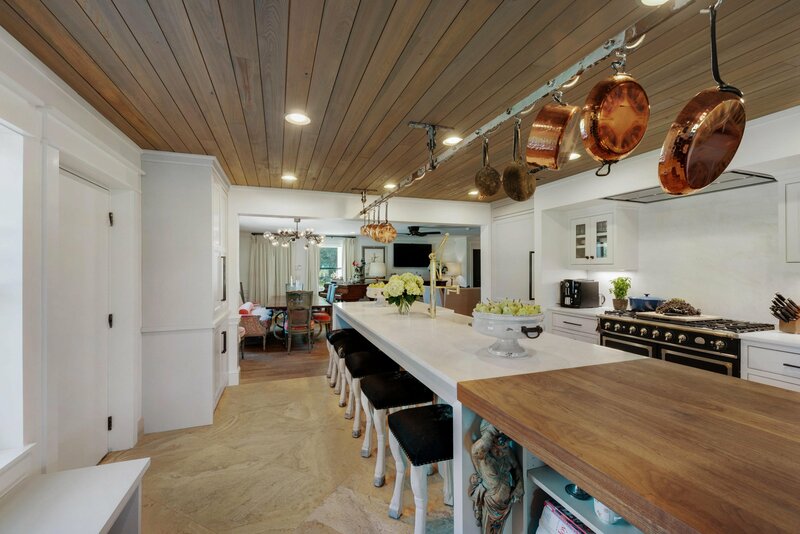 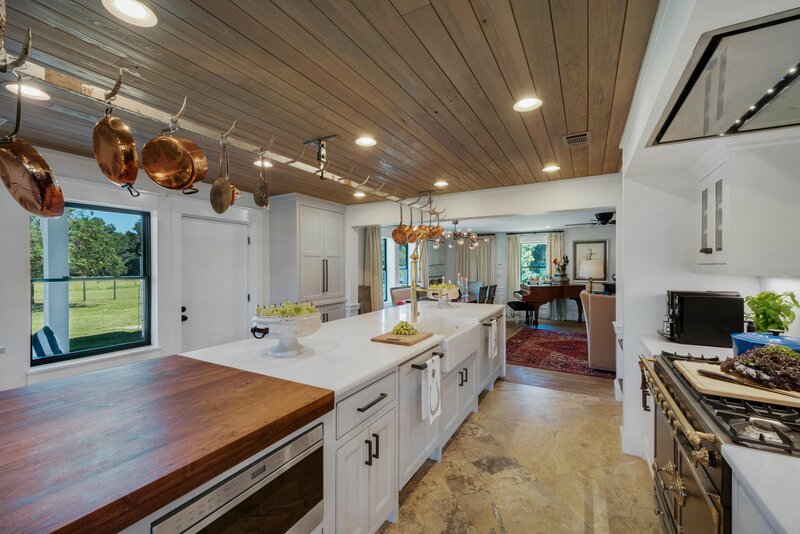 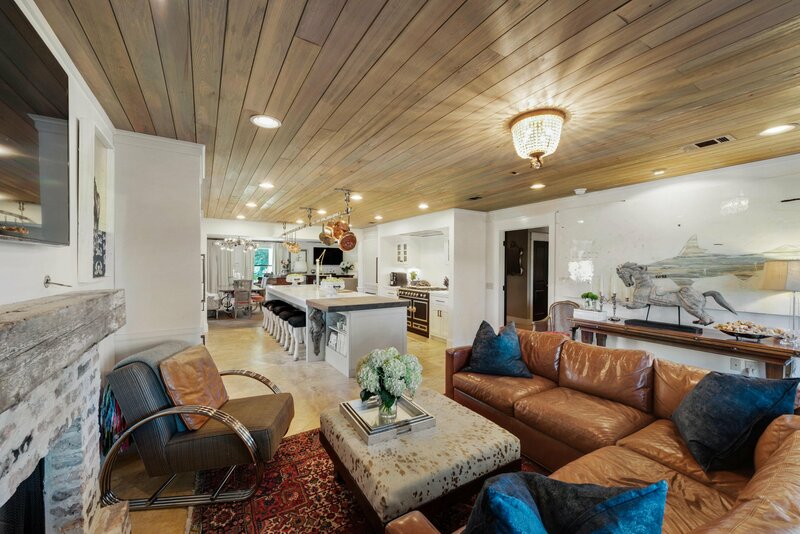 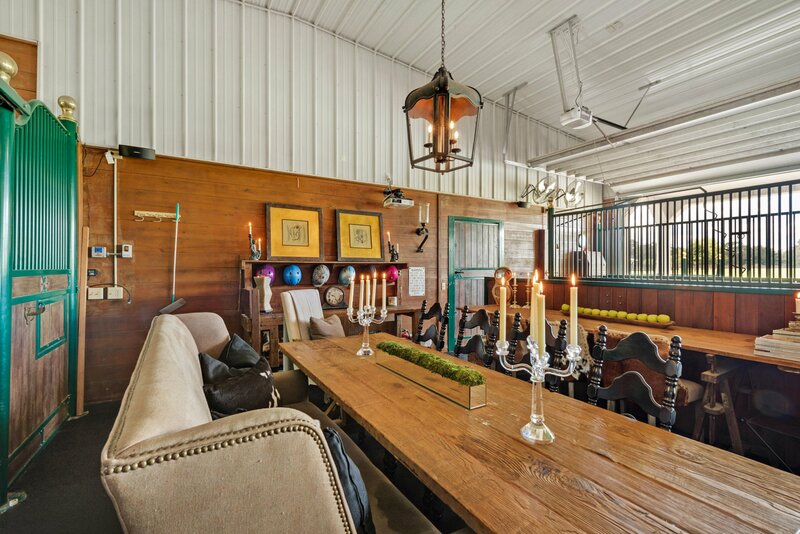 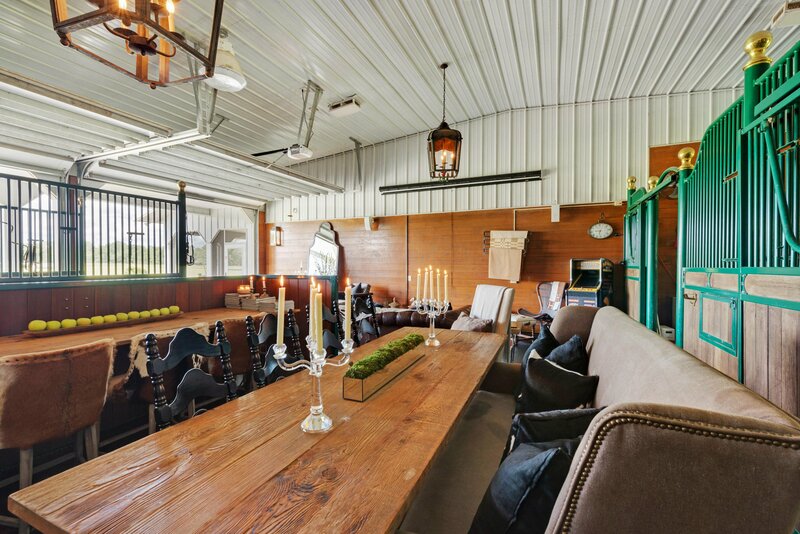 The stable connects to the tack room, which features wood paneling, brass saddle racks, a wet bar, ice maker and wine refrigerators. 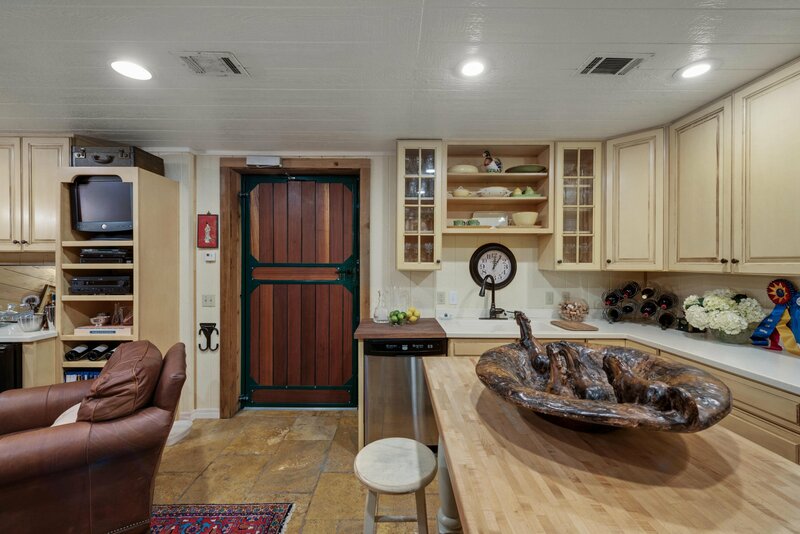 The drive through garage has a second summer kitchen with two additional refrigerators, range, microwave and champagne fridge. 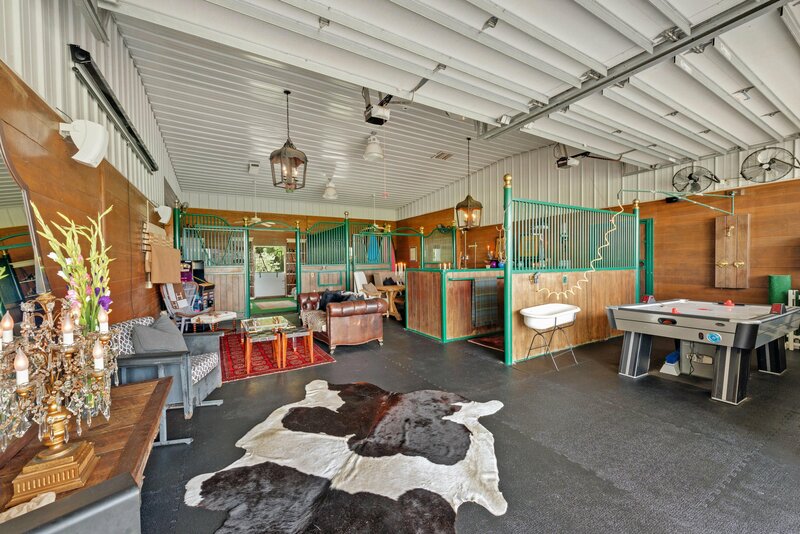 There is a farm office space with second laundry area, and a media lounge above for movies and gaming. 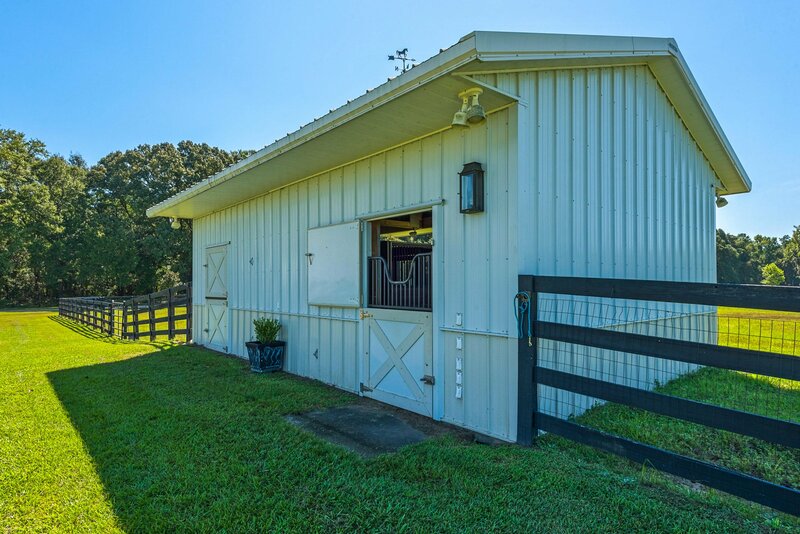 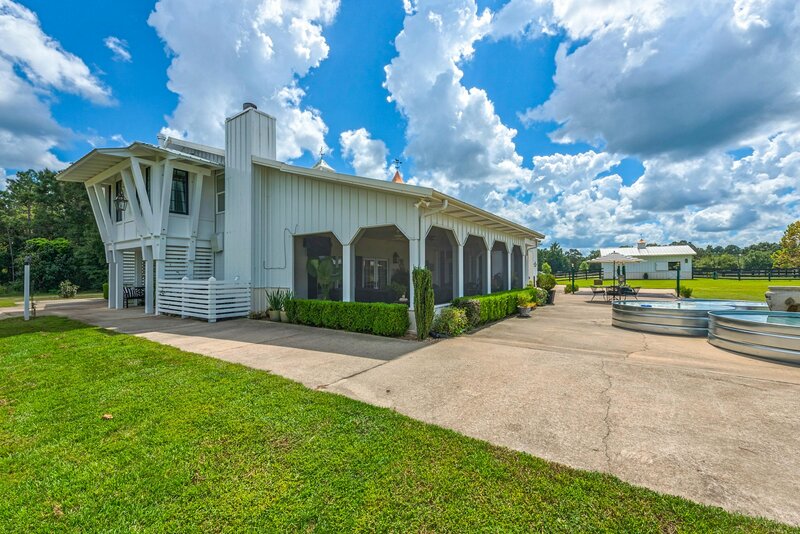 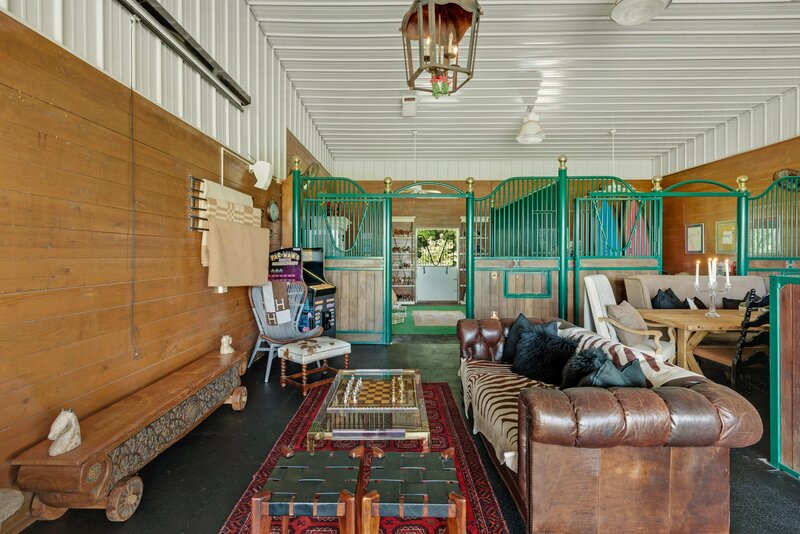 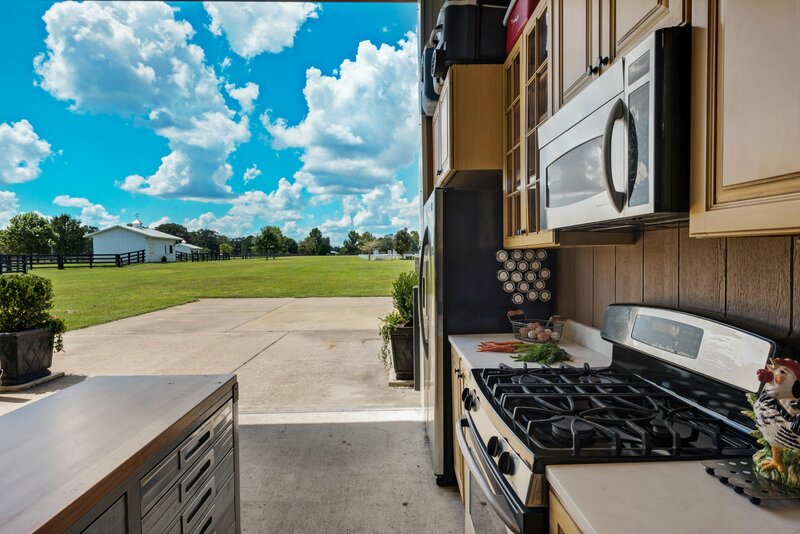 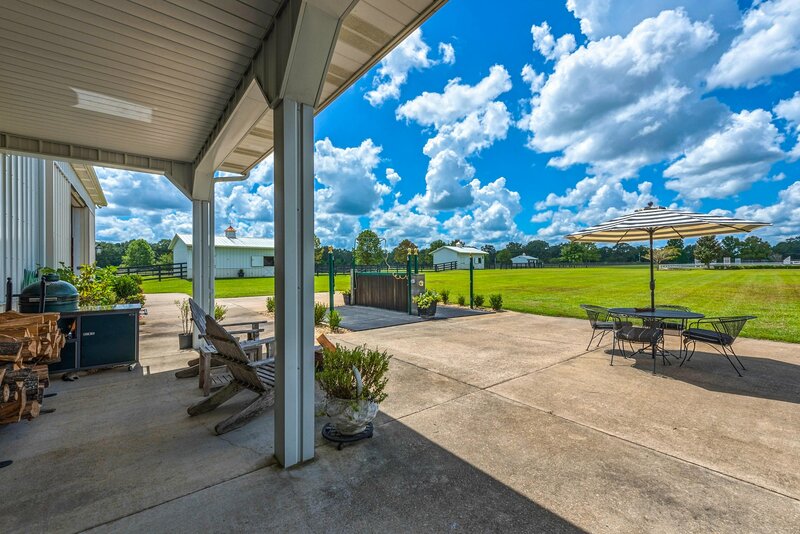 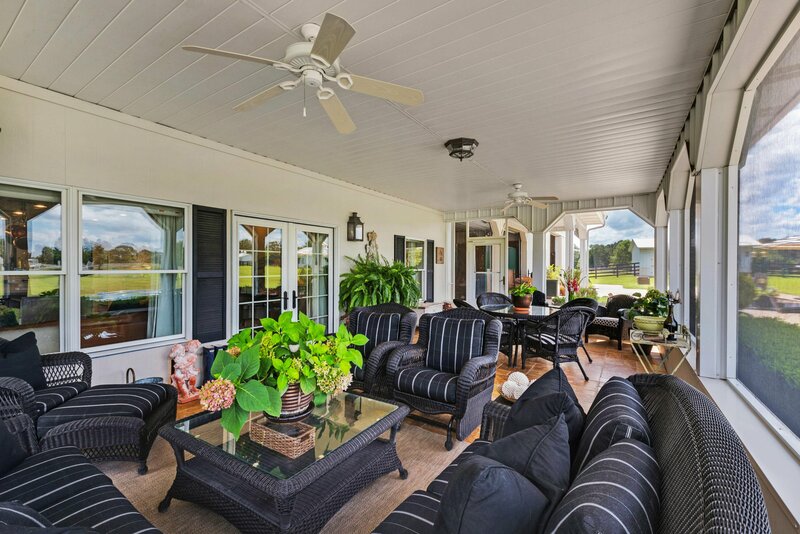 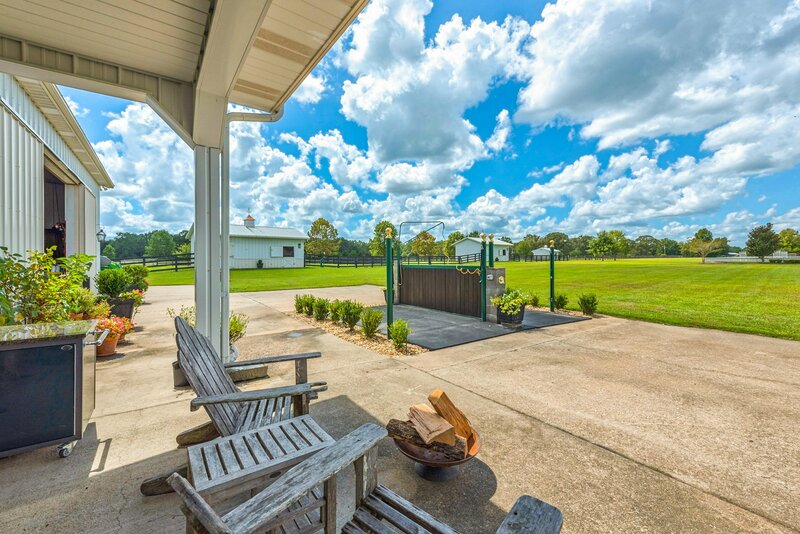 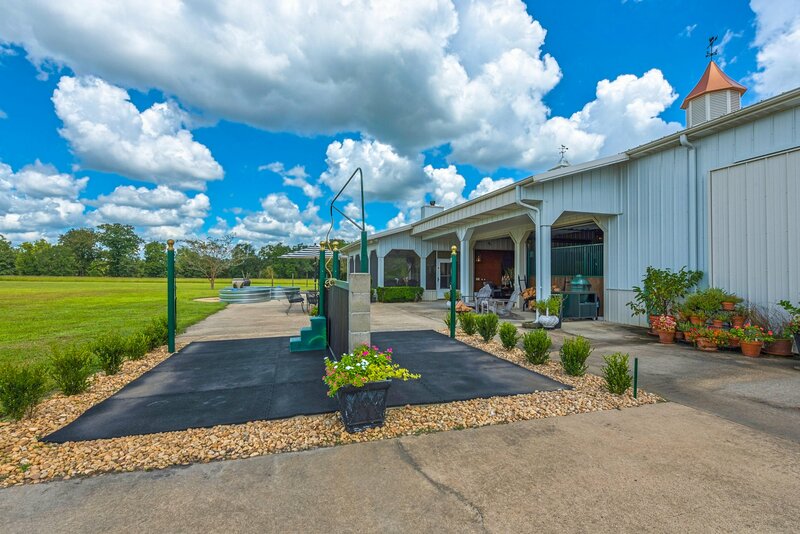 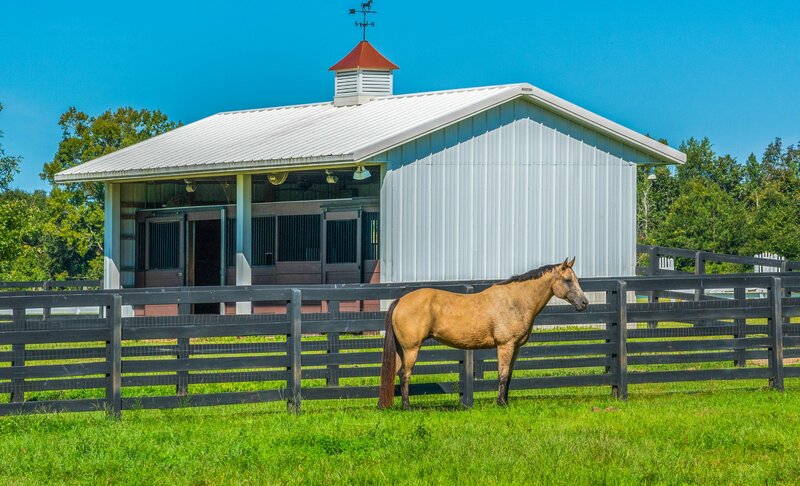 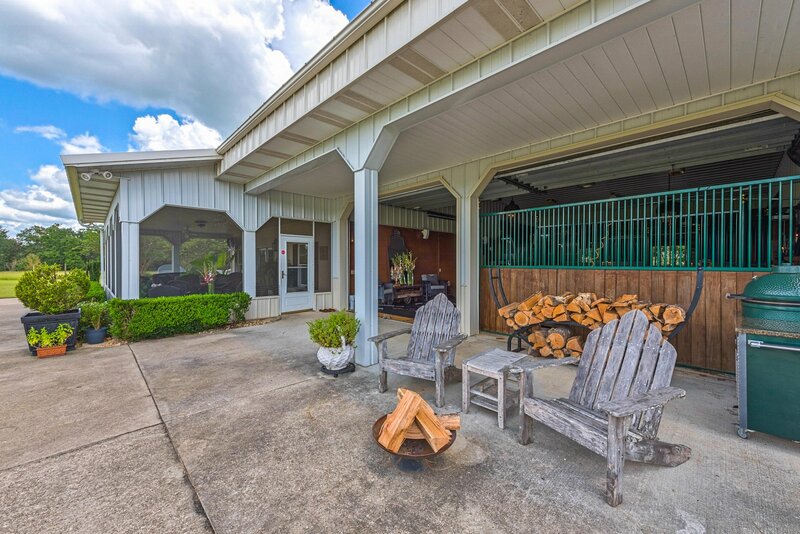 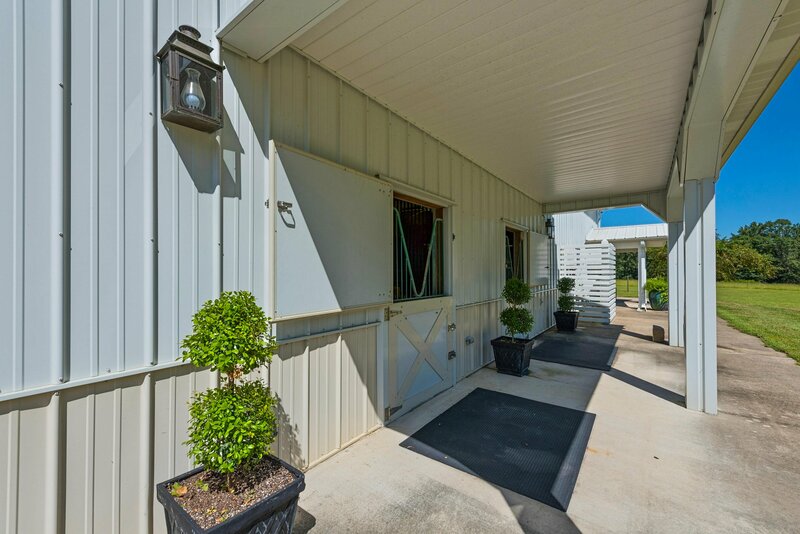 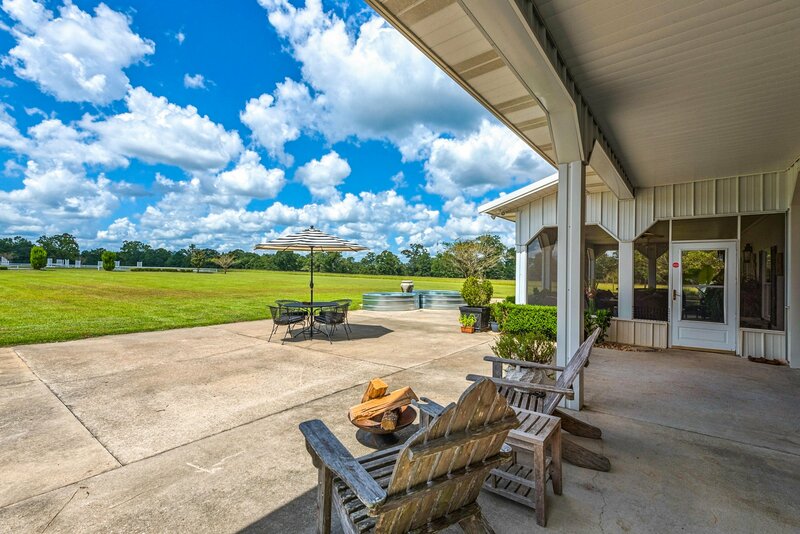 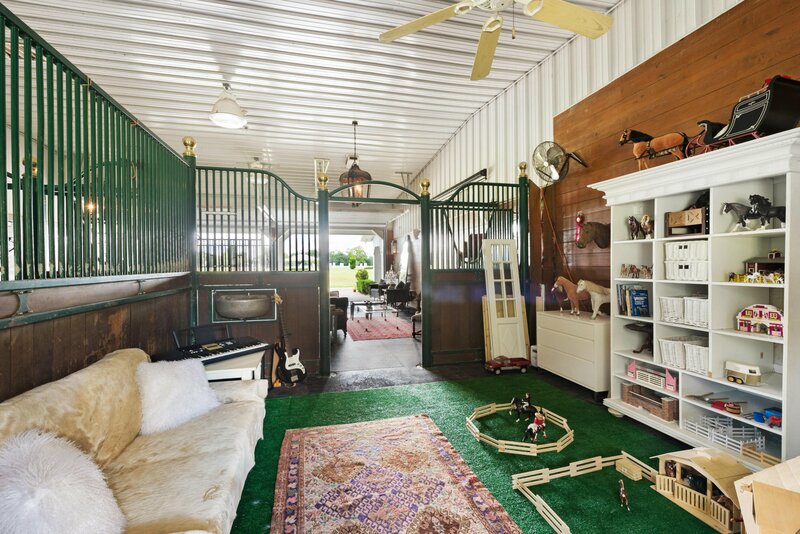 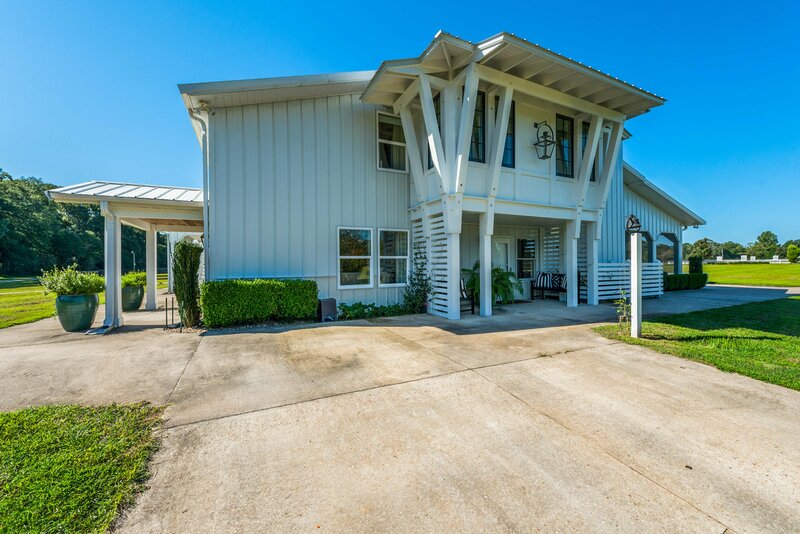 There are a total of eight stalls on the property, a round pen, large dressage arena and double horse wash down by Lodden on the exterior, along with a large screen porch area. 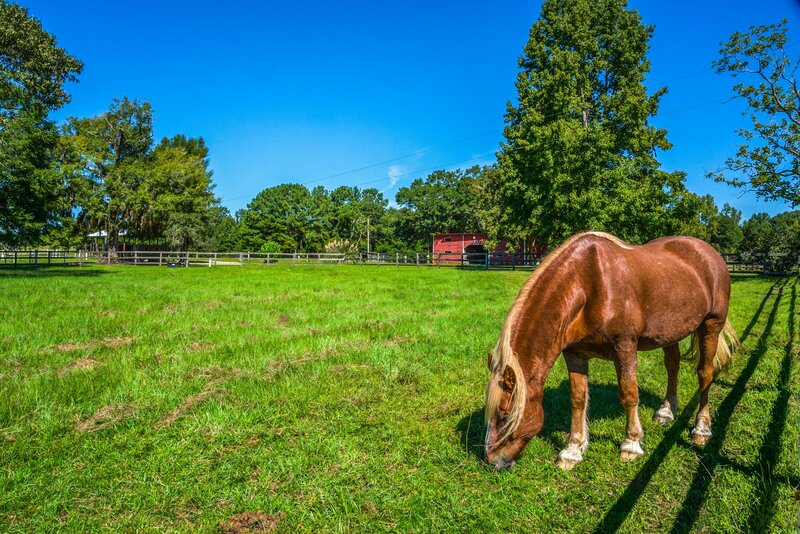 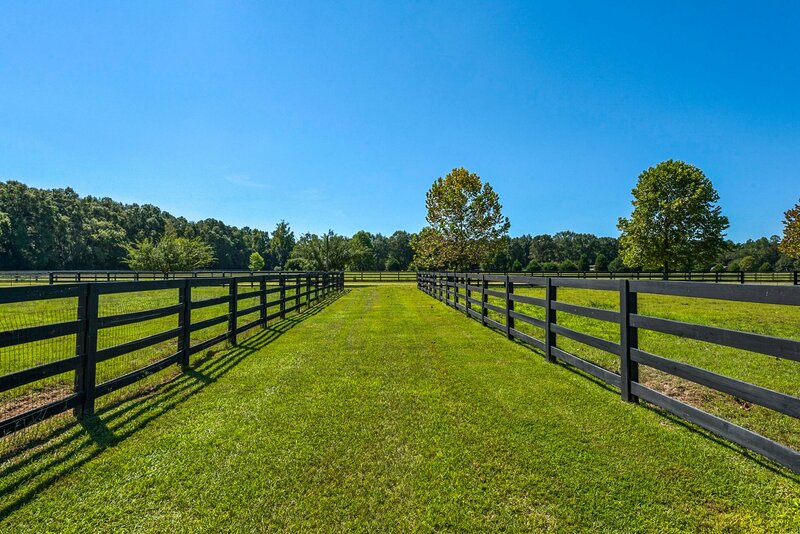 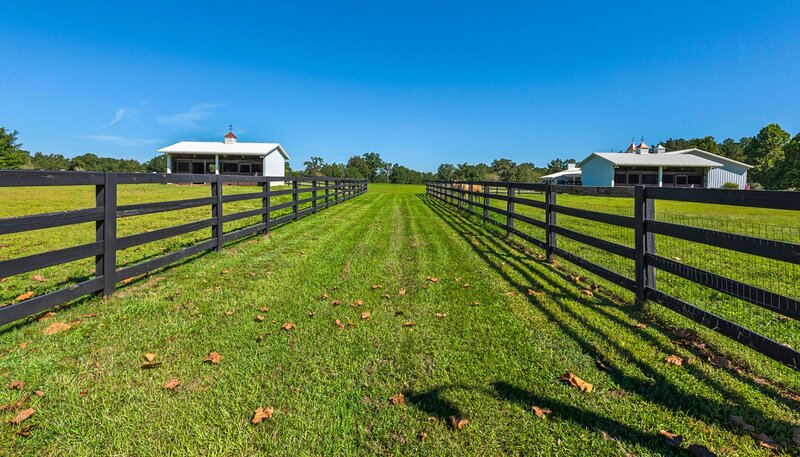 We have 20 acres of bahia grass in hay production to feed the horses, 5 fully fenced paddocks, and 35 acres of hardwoods with trails cut through the woods. 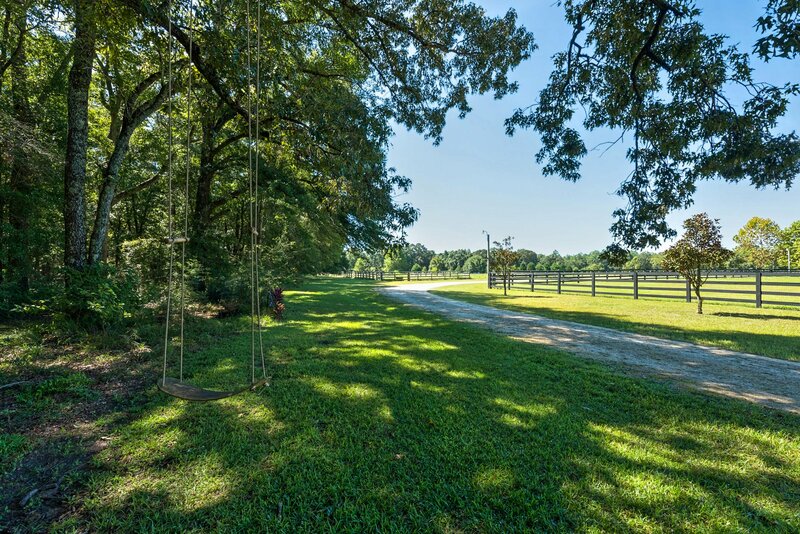 There is a spring fed creek which cuts through the lower end of the woods with stunning foliage and wildlife including turkey and deer. 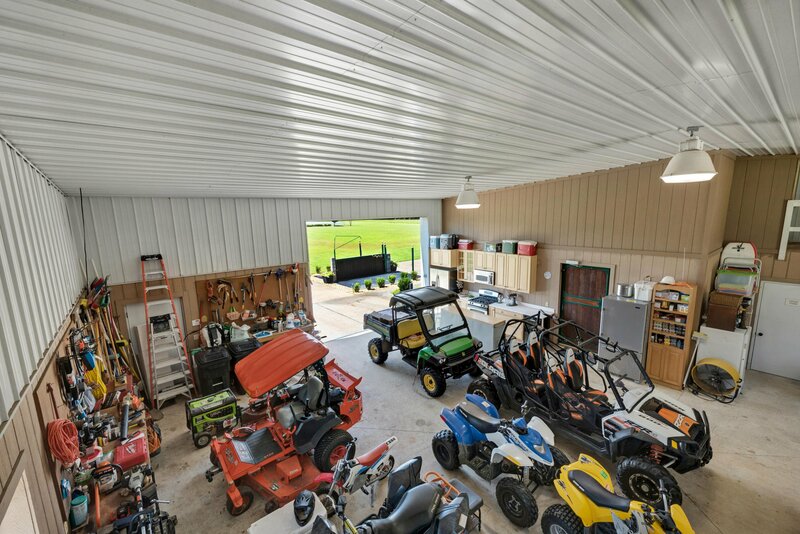 Conditioned square footage is 3627, with 7,709 gross area under roof. 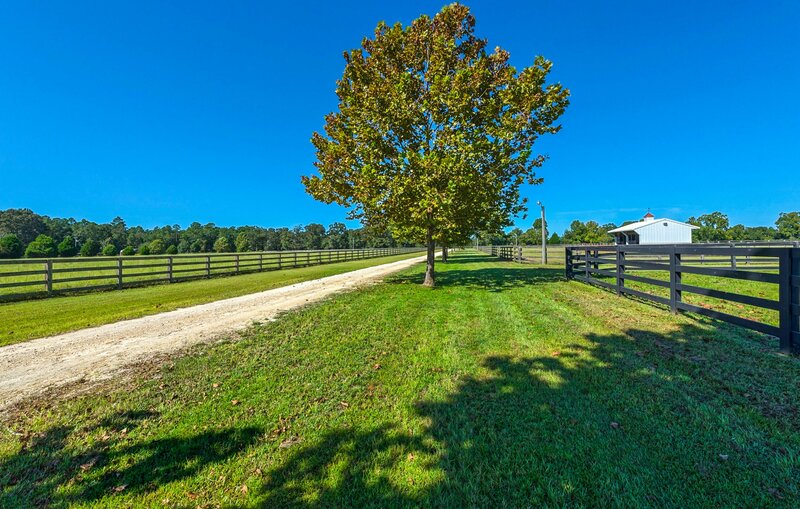 The property is 75 acres.